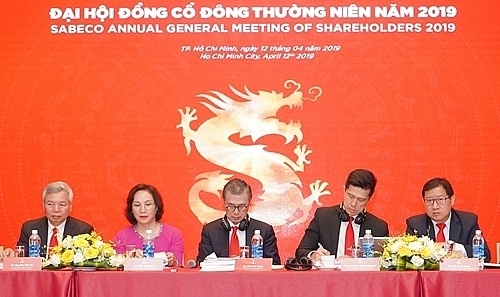 Koh Poh Tiong, chairman of the Board of Directors of Saigon Beer, Alcohol and Beverage (Sabeco), refuted rumours that there are Chinese shareholders on the brewer’s Board of Directors. At the annual general meeting of Sabeco shareholders organised on April 12, Koh Poh Tiong said that he had heard this information numerous times, but remains nothing but baseless rumour and he hoped that other shareholders trust him. Tiong added that he is pleased with his holdings at Sabeco and so does not plan to increase them, despite the fact that the foreign ownership cap was moved to 100 per cent. After one year of joining the board of directors of Sabeco, Tiong affirmed that the brewer has great development potential. In the next years, while global beer sales will see horizontal growth or even a reduction, the local beer market will report an average of 5 per cent of growth per year. Thus, Sabeco will focus on developing its distribution system and improve the brand in Vietnam before investing in exporting. Representatives of Sabeco also said that the company has to compete with Habeco in both Hanoi and Ho Chi Minh City. The competition will be closer after Sabeco increases the price of its products to due to increasing sales and marketing expenditures and special consumption tax. Sabeco currently holds 3 per cent of the high-end market share, however, its profit margin is relatively low. Thus, its short-term targets revolve around developing low-cost and mid-end products.